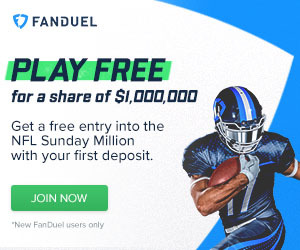 Getting your team off to a good start is one of the keys to winning in fantasy football. Figuring out the running backs that will start fast can help accomplish that goal. By having a winning record you can make trades from a position of strength. You are also that much closer to reaching the playoffs. The Rams start out the season facing Indianapolis, Washington and San Francisco. These teams ranked 25th, 24th and 32nd against the run respectively in 2016. The Colts look like they will actually be the worst of the three this year, but not by much. The Rams will face an already weak Colts defense without star corner Vontae Davis. Even Goff should be able to throw on them, which sets up the play action and Gurley. If Todd Gurley does not get off to a hot start, then he may not be the stud back that we once thought he was. Gordon should have some big days in the first few weeks of 2017. The other team in LA has nice running back matchups to start the season as well. Gordon will be running against the Broncos, Dolphins and Chiefs. The Broncos have a reputation as a top defense, but they were surprisingly yielding versus the run last year. They ranked 28th against the run and the Dolphins and Chiefs were 31st and 27th. 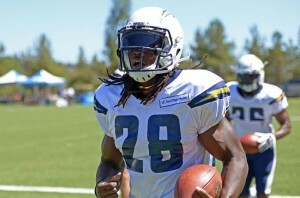 The Chargers have a full complement of offensive stars to start the season. Gordon should feast on these bottom feeding run defenses. The Jets are going to be a dumpster fire in 2017; it's going to happen. The only offensive player that I have any interest in is Bilal Powell. He is a do everything back that will see a ton of touches on this wannabe junior varsity squad. Powell should start out the year hot against some weak defenses. Four of the Jets' first five games are against Buffalo, Oakland, Miami and Cleveland. These teams are all in the bottom third in run defense. Buffalo, Cleveland and Miami are particularly bad at 29th, 30th and 31st. Gang Green's offense will struggle on the whole, but there is a good chance that Powell feasts. The rookie and the veteran should both be in good spirits early in the season. McCaffrey and Stewart start out facing San Francisco, Buffalo and New Orleans. San Francisco and Buffalo are incapable of stopping the run. New Orleans is not terrible against the run, but rank 31st against the pass. That looks like a game where McCaffrey could really take over. Together, the duo should keep fantasy owners happy over the first few games of 2017. 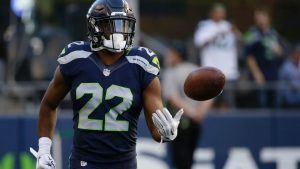 Prosise is not listed as a starter, but he could be valuable at the beginning of the year. The Seahawks cluster of running backs has been confounding to would be fantasy owners this offseason. Lacy, Rawls, Prosise and rookie Chris Carson all have had ups and downs. Only one is firmly within my running backs that will start fast, though. At the beginning of the season, smart money should be on the passing down specialist Prosise. The Seahawks face some dismal defenses over the first four weeks. They start out with Green Bay, San Francisco, Tennessee and Indianapolis. Out of these groups, San Francisco was worse against the run than the pass; that could be a Lacy/Rawls game. The other three are firmly in the bottom third in passing yards allowed per game. Prosise should see a ton of action versus some of the worst pass defenses in the league. He is a great PPR option and a borderline flex in standard leagues. The games that count are less than a week away, but there is still tie to finish those drafts. If you are getting ready to pick, then be sure to read through my 2017 draft guide. Be sure to check out the rest of our draft prep section and get the in depth details on the 2017 season. For some extra content and analysis, follow us on Twitter:@_knuckleheads and @brendancole16.